Marvel Vs DC? What Stan Lee Thinks On That? Marvel Vs DC Is Really On The Cards? What Stan Lee Thinks? Ask any Die Hard Comic Fan for his last wish, he will surely mention that he wants to witness the epic showdown of Marvel Vs DC Universe. We mean who doesn’t want to see Justice League and Avengers fighting,destroying each other like hell? Marvel and DC actually worked together in the past in the form of comic books. There were issues of Batman, Spider-Man and Daredevil working together, as well as the Avengers and Justice League, among others. In 1996, a co-published miniseries, titled “DC Versus Marvel / Marvel Versus DC” was featured Marvel and DC actually worked together in the past in the form of comic books. There were issues of Batman, Spider-Man and Daredevil working together, as well as the Avengers and Justice League, among others. 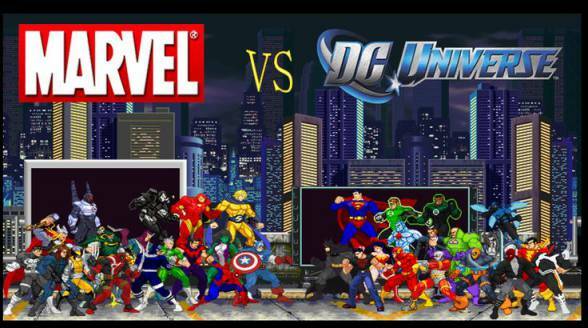 In 1996, a co-published miniseries, titled “DC Versus Marvel / Marvel Versus DC” was featured by the two companies. In the meantime, fans will have to settle with DC and Marvel separately because there a huge number of movies coming in the next few years. But, you never know that Marvel Vs DC can be a reality. All the fans including us are hoping so!